The climate and coastline bring visitors from far and wide on vacations to Sanya, with its 40 km (25 mi) of shoreline almost entirely devoted to tourism. Get in touch with nature at Wuzhizhou Coral Island and Sanya Daxiaodongtian Area. Eschew the tourist crowds and head to Nanshan Temple and Sanya Redaiyulin Square. There's much more to do: witness a stunning natural landmark at Sanya Zhujiang Nantian Spa, cool off at Yalong Bay, enjoy the sand and surf at Tianya Haijiao, and head outdoors with Dadonghai Beach. For traveler tips, ratings, maps, and tourist information, use the Sanya trip itinerary maker. Miami, USA to Sanya is an approximately 31-hour flight. You'll lose 13 hours traveling from Miami to Sanya due to the time zone difference. In May, plan for daily highs up to 88°F, and evening lows to 76°F. Finish your sightseeing early on the 1st (Thu) to allow enough time to travel to Lijiang. Do some cultural sightseeing at Mufu Palace and Yulong (Jade Dragon) Mountain. Get some historical perspective at Lugu Lake and Shuhe Ancient Town. Venture out of the city with trips to Tiger Leaping Gorge (Hutiao Xia) (in Shangri-La County) and Yulong Snow Mountain and Glacier Park (in Yulong County). The adventure continues: get to know the fascinating history of Old Town of Lijiang - China, take in the pleasant sights at Blue Moon Valley, take in panoramic vistas at Deyue Tower, and ponder the design of Black Dragon Pond Park. To find more things to do, photos, other places to visit, and tourist information, you can read our Lijiang trip itinerary maker. Getting from Sanya to Lijiang by combination of flight and bus takes about 7 hours. Other options: do a combination of car and ferry; or do a combination of train and bus. Wrap up your sightseeing on the 5th (Mon) early enough to travel to Shanghai. Get some historical perspective at The Bund (Wai Tan) and Tongli Town. You'll discover tucked-away gems like The Lingering Garden and Fuxing Park. Step out of Shanghai to go to Jiashan County and see Xitang Ancient Town, which is approximately 1h 35 min away. The adventure continues: see the interesting displays at Shanghai Museum, stop by Super Brand Mall, take in the spiritual surroundings of Jade Buddha Temple, and admire the landmark architecture of Zhujiajiao Ancient Town. To find other places to visit, reviews, photos, and other tourist information, go to the Shanghai travel planner. Getting from Lijiang to Shanghai by combination of bus and flight takes about 6.5 hours. Other options: drive; or take a train. In June, daytime highs in Shanghai are 82°F, while nighttime lows are 71°F. Finish your sightseeing early on the 9th (Fri) so you can travel to Beijing. Your inner history buff will appreciate The Great Wall at Badaling and Tiananmen Square (Tiananmen Guangchang). Satisfy your inner culture vulture at The Palace Museum and Gate of Heavenly Peace (Tian'an Men). 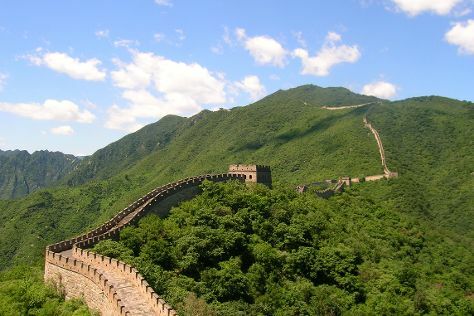 There's still lots to do: admire the striking features of Summer Palace (Yiheyuan), take in the spiritual surroundings of Temple of Heaven (Tiantan Park), hike along Great Wall at Mutianyu, and make a trip to Jingshan Park (Jingshan Gongyuan). To find where to stay, traveler tips, photos, and tourist information, go to the Beijing trip itinerary maker. Traveling by flight from Shanghai to Beijing takes 3 hours. Alternatively, you can take a train; or drive. Plan for slightly colder nights when traveling from Shanghai in June since evenings lows in Beijing dip to 66°F. Cap off your sightseeing on the 13th (Tue) early enough to travel back home.